In an update to the fabulously written Goodreads review of Brittain’s awful self-published opus, a reviewer going by the pen name of Paige Rolland describes how Brittain stalked her Facebook page, discovered where she worked and traveled all the way to Scotland where he violently hit her over the head with a full bottle of wine, causing her to be hospitalized. I was in the cereal aisle, bending down to get something from the bottom self. When I stood up, something hit me on the head. Hard. At first, I thought that maybe I’d hit my head off the shelf, and as everything started to spin and go black, I wondered how the hell I could be so stupid as to hit my head so hard. My vision was black, and my hearing was muffled, but I was very much conscious – I did not pass out (and this is important ’cause of my pride). I turned and put my hands out to lower myself to the floor gently, which is something my mother has always taught me to do should I think I’m going to pass out. It prevents further injury. As I lowered myself, I heard the tinkle of a bottle on the floor and I thought that something had fallen on me (even thought there is definitely no wine in the cereal aisle). And then there’s this weird story. 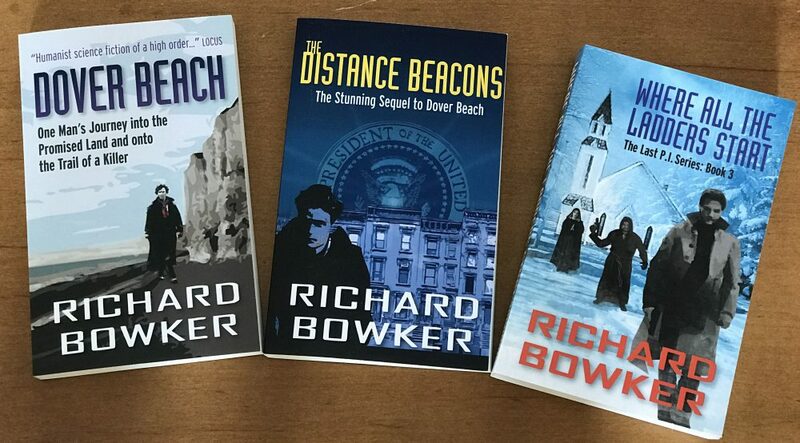 This entry was posted in Writing and tagged authors, critics, fiction, novels, reviews, writing by Richard Bowker. Bookmark the permalink.